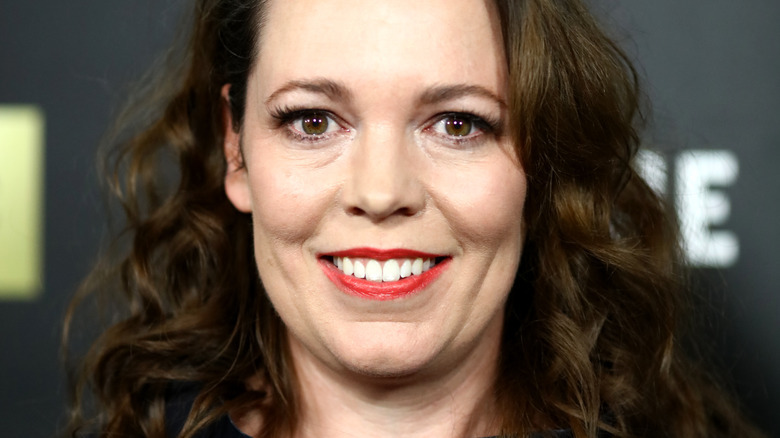 Netflix has unveiled the first look at Olivia Colman in character as Queen Elizabeth II on the upcoming third season of The Crown. The photo, uploaded to the series' official Twitter account, features Her Majesty sitting down for a cup of tea, wearing a slightly concerned look on her face and her signature pearls around her neck. She's alone in the snap, with no other cast members joining her at the table. It's just her, her pink skirt suit, and her tea. Colman takes over the role of the Queen from Claire Foy, who led The Crown for its first two seasons. Where the first season documented the events from Elizabeth's marriage to Prince Philip (first played by Matt Smith) in 1947 to Princess Margaret's (originally Vanessa Kirby) broken engagement in 1955, the second season spanned the years between the Suez Crisis in 1956 and the birth of Elizabeth and Philip's son, Prince Edward, in 1964. The third season of The Crown will kick off in 1964 and wrap things up in 1976, following Harold Wilson's (Jason Watkins) terms as Prime Minister. Netflix chief content officer Ted Sarandos once explained that The Crown will tell Queen Elizabeth's life story, spread out over six decades, "in six seasons presumably," and that the series will be made "over eight to 10 years." It's unclear how long Colman will stay in her post as Her Majesty, but considering Foy was on board for two seasons, it's assumed that Colman will star for that long as well, leading seasons 3 and 4. Colman she isn't the only fresh face coming to The Crown. The forthcoming season will introduce Tobias Menzies as the new Prince Philip, Helena Bonham Carter as the new Princess Margaret, and Ben Daniels as Margaret's husband Antony Armstrong-Jones. Reactions to this first peek at Colman's Queen Elizabeth have been somewhat mixed. While some have shared their excitement on social media, tweeting that they can't wait to see The Night Manager and Broadchurch star step into the world of The Crown, others have taken a staunchly anti-Colman stance. One such naysayer was Twitter user Miami Delgado, who posted in response to the photo reveal, "I can't believe they had the audacity to replace Claire Foy." The difference between this actor replacement and the last-minute, sometimes show-ruining ones, however, is that it's necessary. Queen Elizabeth II may be the most powerful member of the royal family, but she certainly isn't immune to aging. (We've all seen the real Queen get older, so why wouldn't the on-screen one do the same?) Being a historical drama, The Crown relies on historical accuracy, and casting an older actress to play an older Queen is just the name of the game as seasons go by. And who knows, perhaps Colman picking up the part from Foy will actually make The Crown even better. The Crown is expected to return to Netflix for season 3 sometime in 2019.